This is the ‘riches to rags’ story of Jasmine (Blanchett). When her affluent New York lifestyle is cut short, she seeks refuge with her sister Ginger (Hawkins) in San Francisco. She meets a new man which could mean a fresh start, but Jasmine is already lost to herself, so the relationship is doomed before it starts. Falling from grace is too much for Jasmine’s frail psyche, and she struggles to maintain her grip on reality. 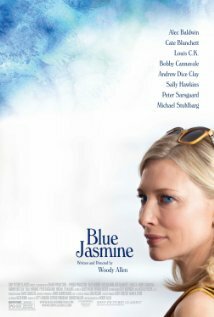 This is a fantastic film with all eyes focussed on Jasmine. It is a change of pace for Woody Allen with women and their troubles in the limelight for the entire show. Cate Blanchett is so extraordinarily riveting that she takes the script to a whole new level. In fact, I wonder if the film would have worked so well with some-one else in that role? What amazing acting from Blanchett, and from everyone in the cast! This is a must-see film – what more can I say? American tourist Hayley meets Michelangelo, they fall in love and get engaged. Her parents come to Rome (Allen and Davis) to meet his family. Hayley’s father tries to make Michelangelo’s father into a huge opera star, even though he can only sing in the shower. Antonio and Milly are newly weds and new arrivals in Rome. They go off in separate directions and each experiences their own sexual fantasy before they come back together and decide to go home. Leopoldo becomes a star and is hounded by the Paparazzi, just for being his normal, boring old self. And when it all comes to an end, he’s not sure he wants to return to a world without fame and glamour. Well known architect, John, holidays in Rome where he lived 30 years ago. He meets a young architecture student, Jake, and his girlfriend. 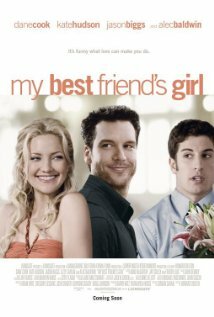 They have a friend come to stay who provides a dangerous love interest for Jake. John acts as Jack’s conscience and tries to give him advice. 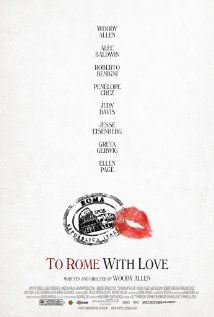 This film is a little like Allen’s last work “Midnight in Paris“. There are places where you can get confused, and you need to allow yourself to wander off into the bizarre Woody Allen sub-conscious. There are at least six women protagonists in this flick, but as usual, it is the male psyche that is being examined in detail. I enjoyed this movie. The four story lines are not meant to meet up. They are four separate little films in one. Definitely worth a watch or adding to the Woody Allen library. Jen plays her usual goofball, yet lovable, character in this film as Polly Prince. She doesn’t come into the film straight away, as we are busy watching Reuben Feffer (Ben Stiller) and Lisa Cramer (Debra Messing) on their honeymoon. You’ll see how that ends up! Reuben eventually meets up with Polly who is an old school friend – ‘boy meets girl’. Their romance is unlikely because they are not suited – he is obsessive and straight-laced, she is a free spirit and adventurous. As the pair try to have a relationship, Reuben works on becomming less uptight. There are some ‘cringy’ bits in the movie involving bowel movements (yes, two separate bits involving bowel movements), but there are also some funny bits. Reuben’s best friend Sandy is disgusting, but supplies a lot of the funny bits. Alec Baldwin has a small part as does Bryan Brown and Hank Azaria. Some other cringy bits for us Ozzies is the Australian accents – totally overdone – do we sound like that? We definitely don’t! There’s a few gender role reversals in this film that I quite like, which does make you like both main characters. Unfortunately there’s not too much to this film. But that’s okay for a light movie involving Jen and Ben. Jane (Streep) and Jake (Baldwin) have been divorced for 10 years. When they meet up again for one of their children’s graduations, they embark on an affair. Jake has a new, young, hot wife (Lake Bell, who incidentally plays Tipper in What Happens in Vegas) and Jane is trying to start a new relationship, so their affair is truly complicated. Will they try and get back together, or is it too late for a reunion? I love this movie. I could watch it over and over. Streep’s character is admirable and beautiful – both in nature and looks. Streep also has a posse of girlfriends – something that always endears a movie to me. I also love movies that feature food and cooking. Friends and food, you can’t go wrong – there is a wonderful scene where Jane makes a French dish for Adam (played by Steve Martin) called Croque Monsieur. I always want to jump up and dash to the kitchen when I see this. 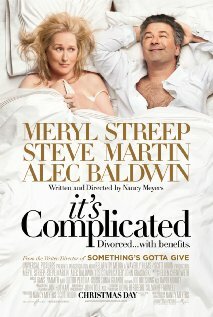 This is a lovely, funny movie and both Baldwin and Martin are as likable as Streep. It’s about life and how moving through it makes us change. And sometimes understanding these changes is a complicated thing. This film is for the more mature viewer.